Girls Wear Blue Too: I've found my one little word! I've found my one little word! Each year, I seem to land on a word that will be my guiding light, in the weeks leading up to the approaching new year, this year was different. No word came to me. Instead, I was thinking about Goals and how, best to manage commitments I already had; things I wanted to learn; things I have to do; being present and focused. As I thought about these things one word kept repeating in my brain. Deleting my Facebook 'Fan' Page once and for all. Reducing the number of people who are my Facebook 'friends'. Reducing the number of Facebook Groups I am in. Tidying up my Bloglovin follow list to the blogs I truly enjoy reading, the ones that inspire me and the ones that mirror my values and life goals. Reducing the number of people I follow on Instagram. Deleting the majority of Businesses and manufacturers, I follow on Instagram. So many online places, people and things that added to my mental 'to do' list but that I would never realistically actually get to engage with. The businesses promoting their new products and the groups feeding the must have, want/need, of the new fandangled product/service which I could certainly have lived without had I never seen it, or known it existed! I find myself often consciously thinking about who and what I want to engage with and what my limits of engagement realistically are. Why waste time/energy/emotion engaging in something that does not add Value to my life? 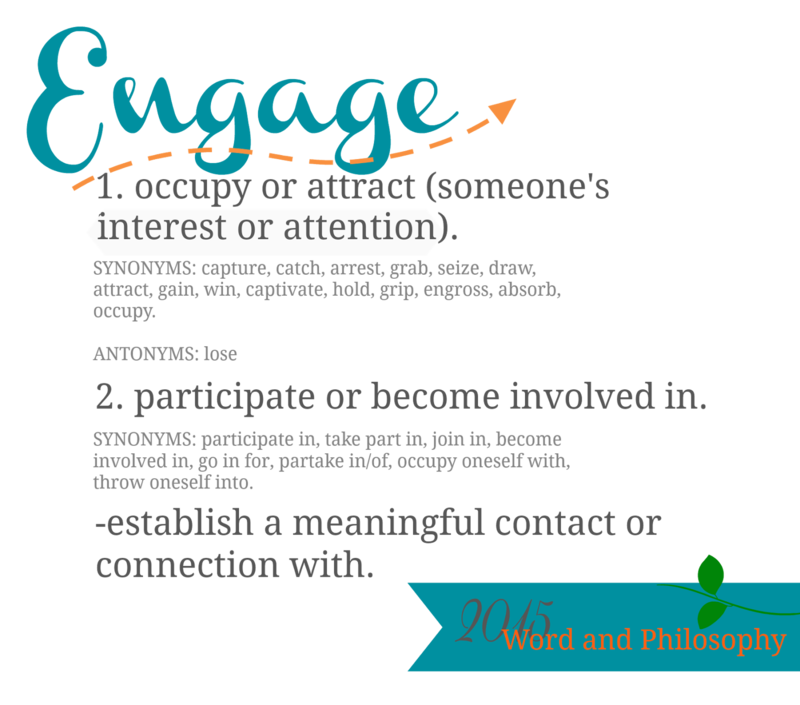 Why not engage fully and give my attention to the activities and people that do add Value and are of Value to me? Tammy, I have never joined Facebook but I noticed that you and a few other bloggers had decided not to participate there any more. There are a lot of distractions 'out there' these days and I am pleased that you have found 'your word' for 2015! You have me thinking :). I hope that thinking leads you somewhere good Robyn!